Virtual Reality for uncovering neural dynamics in decision making. VR systems - new possibilities in neuroscience. We provide worldwide unique VR systems for combining animal behaviour with neuroscience. 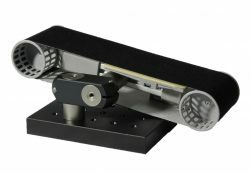 Our JetBall spherical treadmills allow a mouse or rat to navigate and perform behavioural tasks in a virtual space, while the brain can be examined with optogenetic, electrophysiological, or advanced imaging methods. VR allows more flexible modifications of experimental environments and conditions than real mazes, e.g. hiding and switching landmarks automatically, teleporting of an animal to a new task or by using endless mazes. We have spent years developing and refining our JetBall and other systems for mice and rats in cooperation with Berlin-based neuroscience groups. Utilize our experience for your own research to explore new horizons in neurobiology. Use our predefined virtual JetBall mazes for learning, memory, cognition and navigation tasks: 2m-Corridor, Endless-Corridor, T-Maze, Plus-Maze, Y-Maze, 1m-Open Field. Create your own virtual mazes with our flexible software: place landmarks variable in size and shape appearing and disappearing at defined times, run different mazes as test batteries in a single sequence without removing the animal from the top of the ball, or uncouple the virtual reality and the actual movement of the animal. Extend the JetBall system with our optional operant modules for combining them with virtual scenes. Relay experimental data from the JetBall via our data transfer system to any additional experimental computer for synchronising data streams. 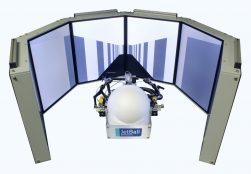 The air-cushion supported spherical treadmill allows a restrained rodent to navigate in virtual space presented on a 270° TFT surround monitor with six 19”-sub-units. 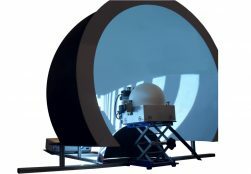 The air-cushion supported spherical treadmill allows a restrained rodent to navigate in virtual space presented through mirror reflections and warping/dewarping on a spherical 1.2m dome screen. 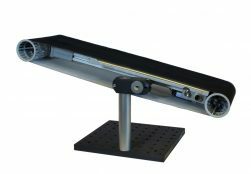 The PhenoSys SpeedBelt is a linear treadmill designed for stand-alone applications or for the integration with our JetBall virtual reality systems. The PhenoSys TopoBelt is a linear treadmill designed for rats and similarly sized animals.